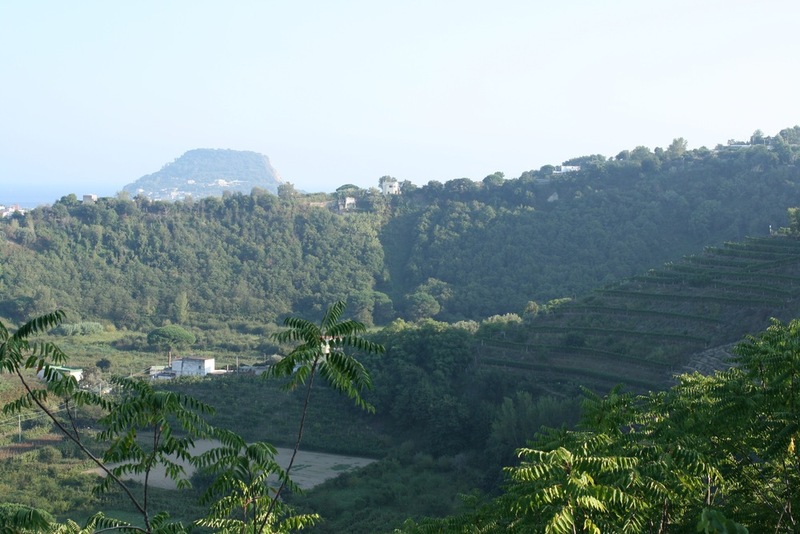 Just north of Naples, right on the coast of Campania, there is a very small grape-growing area called the Campi Flegrei. 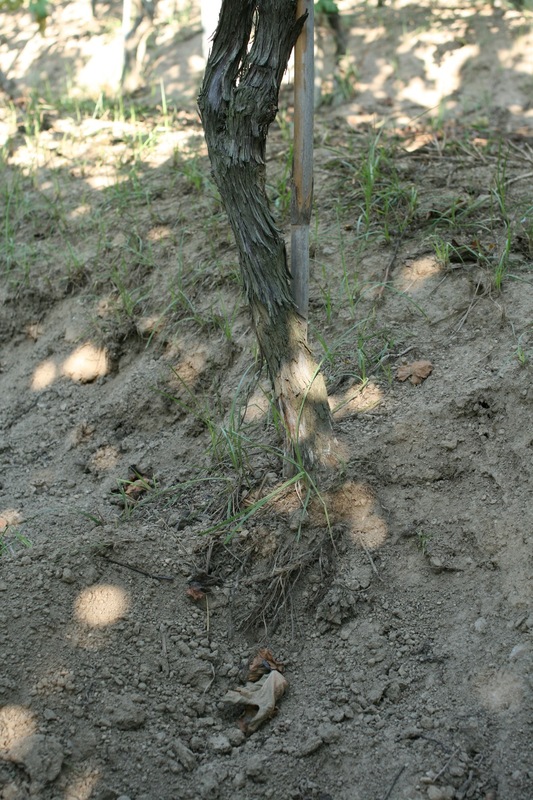 The soil is so sandy here that the vines can be planted directly in it, without being grafted to other rootstock. Perhaps it is this very unusual fact that makes these wines so distinctive, along with the great care given to the vines and the wine by Luigi di Meo and his family. Since European viticulture was wiped out by the phylloxera insect in the last half of the nineteenth century, there is great nostalgia for the Golden Age of wine made from ungrafted vines. Here is a very rare opportunity for you to taste for yourself. The fact that these vines are ungrafted leads to another very unusual feature: full ripeness at lower alcohol levels. These indigenous grapes, both the white Falanghina* and the red Piedirosso, are picked in October (very late, especially for a warm climate). This allows their flavors to be fully developed, while maintaining low alcohol levels (about twelve per cent in both cases) and excellent fresh acidity. The wines are vinified and aged in temperature-controlled stainless steel, to allow their striking flavors to shine through without being muddied by oak. 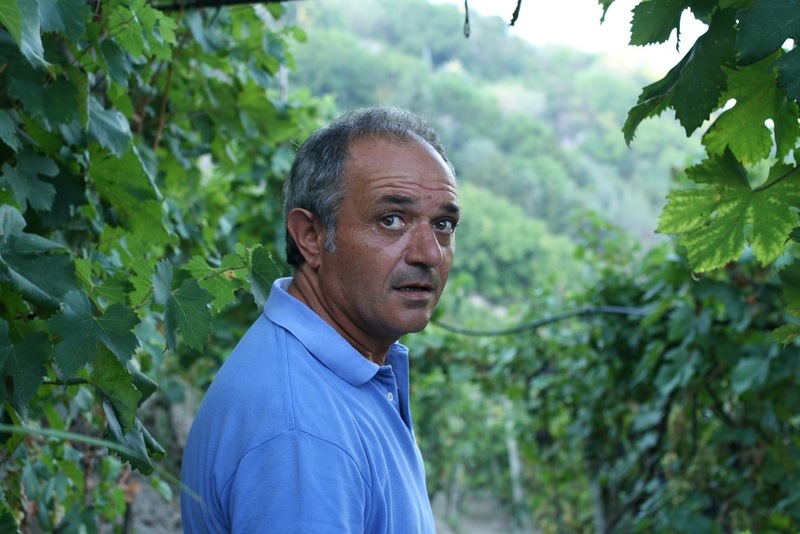 Luigi talks about the Campi Flegrei terroir more than the varieties, but they are also doing genetic testing on the Falanghina, as it appears to be distinctly different from those used elsewhere in Campania. A wonderful paragraph from Luigi's website: "The viticultural tradition of La Sibilla is the story of our family, and can be represented by the roots of a vine that combine with the soil over the years, going ever deeper in search of minerals. We are like those roots, and for at least five generations we have worked this fascinating and mysterious little outcropping of earth called the Campi Flegrei." Grown on its own roots and vinified and aged in stainless steel, this is a very distinctive example of how delicious Campanian white wines can be. It delivers a crisp minerally character while also showing appealing aromas and flavors of citrus, flowers, and tarragon. This is an excellent seafood wine. I also drink it as a dry aperitif, with olives and salami, while deciding what to make for dinner. Cruna del Lago is a reserve bottling of La Sibilla's Falanghina, and is my kind of reserve wine - the same zesty herbal/mineral aspects as the regular bottling but with the volume turned up. (The best fruit, in other words, but no fancy cellar work such as barriques. ) I had this with Luigi di Meo at an excellent local seafood restaurant in the Campi Flegrei and it was just the right wine. What a delicious red wine. '...soft tannins and berryish flavors are kicked up with a spicy note of cinnamon and dried cherry...distinctive savor and bright acidity' as David Lynch says of Piedirosso in his excellent Vino Italiano. This is a very versatile food wine: serve it with salmon, pork, substantial pasta dishes, and other great everyday dishes.